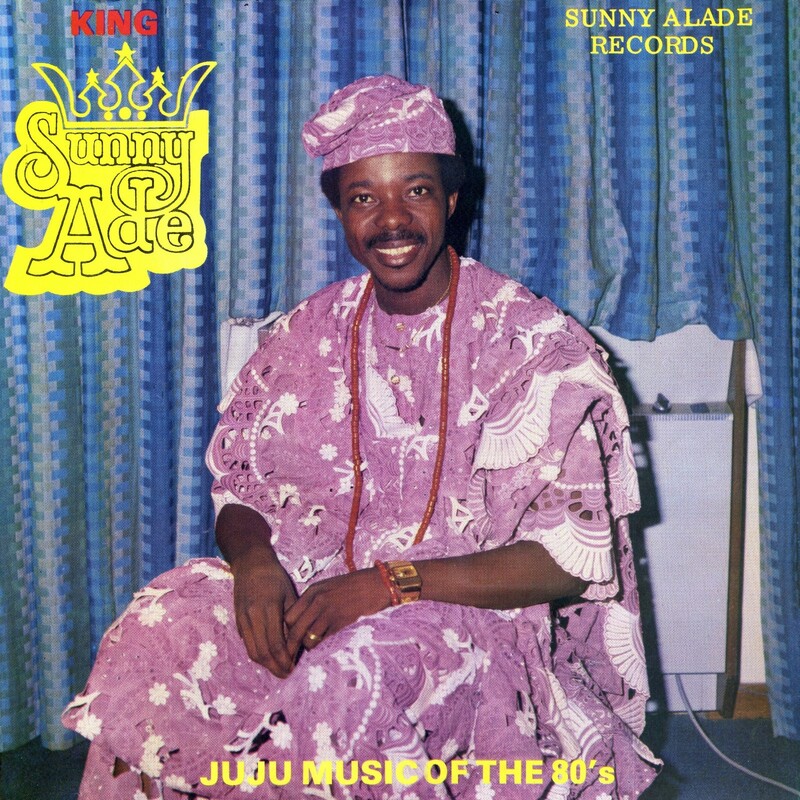 King Sunny Adé's 1981 LP Juju Music (Island ILPS 9712) was a revelation for many outside of Nigeria, making him a global superstar, making way for other African musicians and opening the floodgates for the World Music™ craze (or hype, or gimmick) to come. 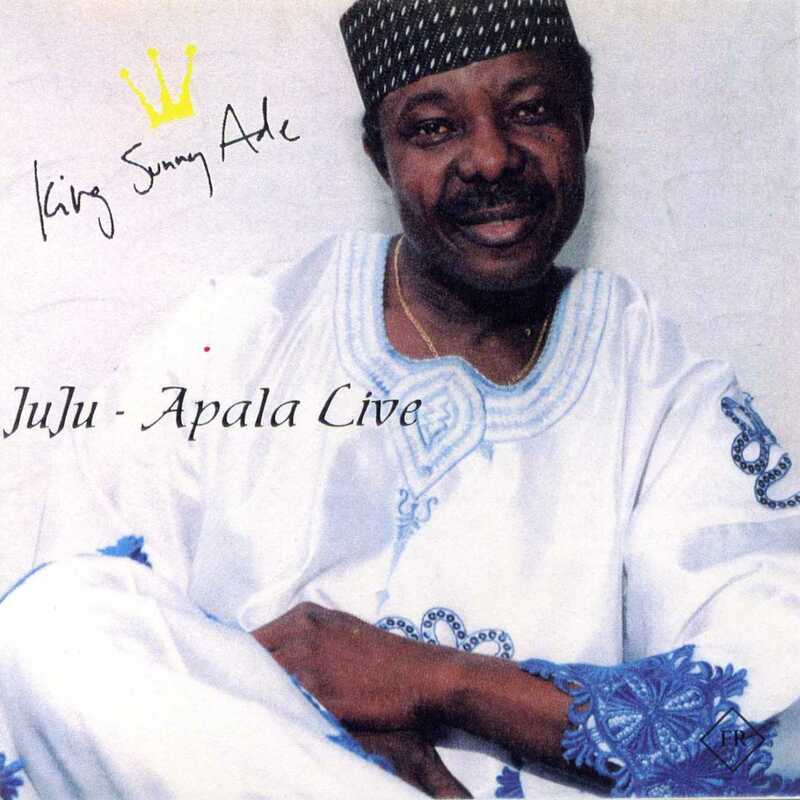 By the time Juju Music was released, Adé had been recording for fifteen years. His early outings, with the Green Spots Band, were short, punchy compositions meant for the 7" 45 format. 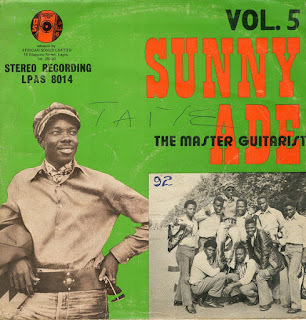 As LP records became the medium of choice in Nigeria, and the Green Spots mutated into the African Beats, the music stretched out, becoming languid medleys taking up whole sides of albums. French producer Martin Meissonnier, in packaging Juju Music for the world market, made the shrewd move of chopping the medleys into individual compositions and adding a few subtle production tricks, but avoiding the "crossover" trap and leaving the sound basically as it had been heard in Nigeria. 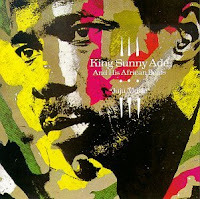 It's an excellent introduction to King Sunny Adé's sound, and jùjú music in general, and is considered a classic. Those who have heard Juju Music will find much of The Message (Sunny Alade Records SALPS 25) familiar. 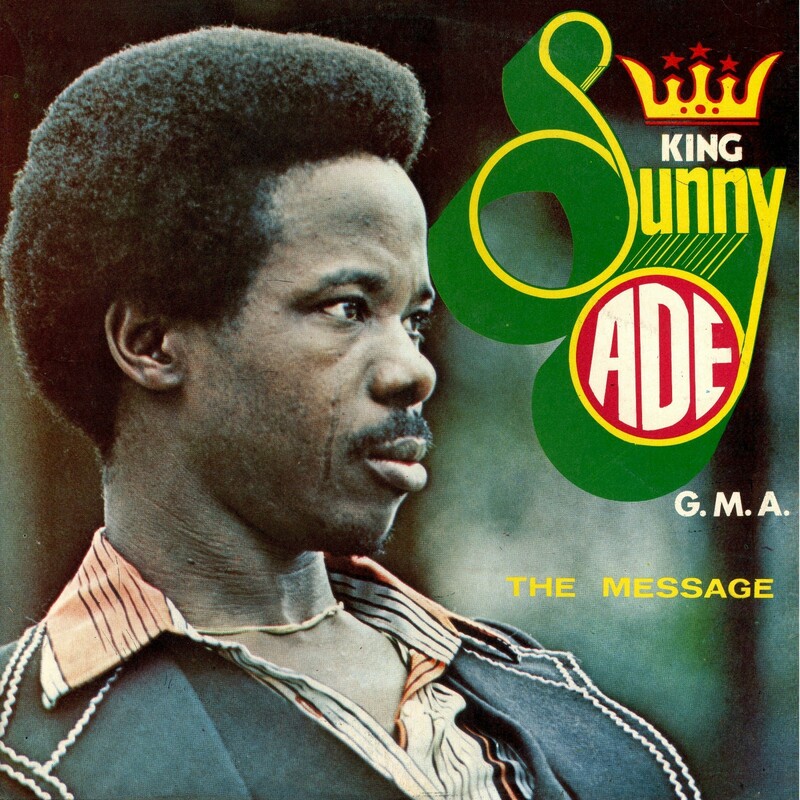 Parts of it were the basis for two songs on the former album, "Ma Jaiye Oni" and "365 Is My Number/The Message." It's one of my favorite Sunny Adé records. Enjoy! Download The Message as a zipped file here. 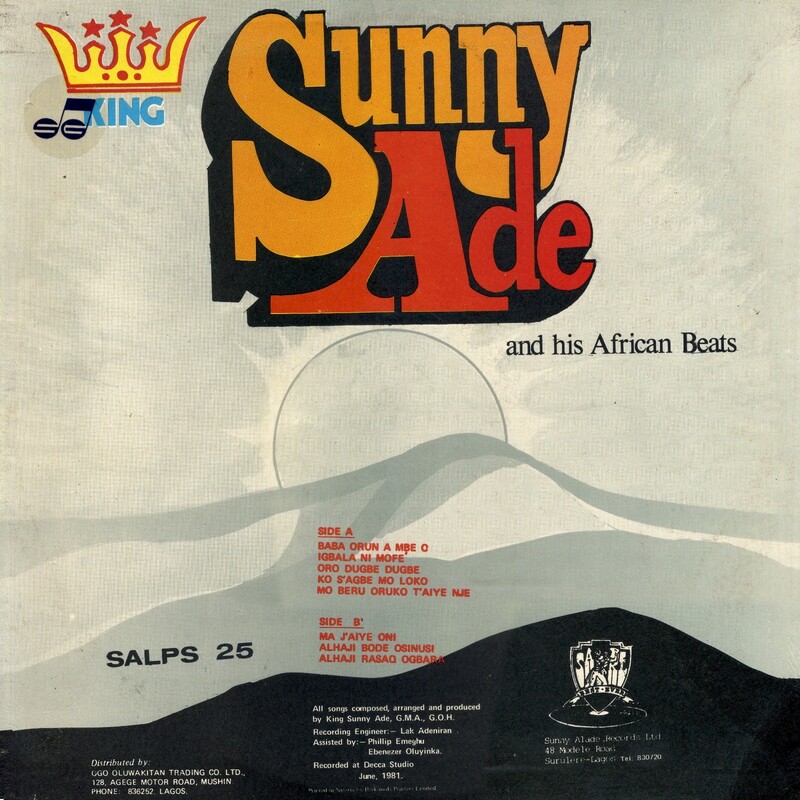 Today's offering is Juju Music in the '80s (Sunny Alade SALPS 24), and in a few days I will post The Message (Sunny Alade SALPS 25). 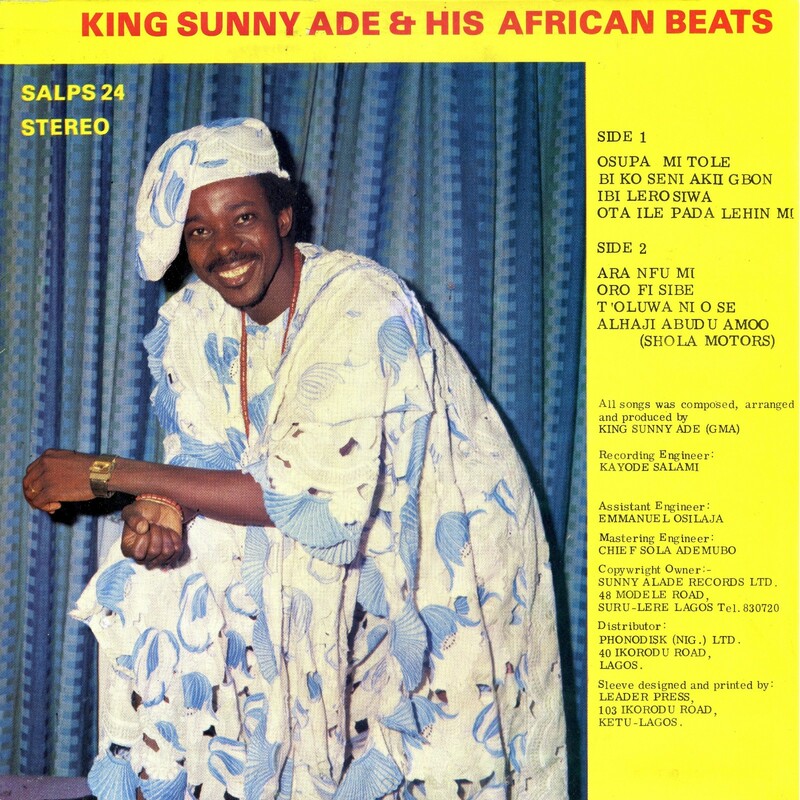 These albums were released only in Nigeria, right before the monumental Juju Music (Island ILPS 9712). 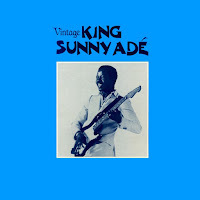 That was Sunny's first international release, which put jùjú music on the map and launched his career as a world superstar. Unlike that album, which was tailored somewhat for global tastes (but still great), this one sticks to the Nigerian convention of long jams that fill each side of an LP record. Enjoy! Download Juju Music in the '80s as a zipped file here.